ORI PICTURES is a member of ORI Group, the sister company of ORI ANIMATION. ORI PICTURES is focusing on the development of the international film & TV industry, which includes the financing, production, acquisition, marketing, distribution and other relevant industrial activities. With its focus on investing, developing and producing strong IPs, ORI PICTURES integrates domestic and foreign resources, deeply exploiting the potential value of the content and IPs via international co-productions, to create quality original brands of film & TV for the global market. ORI PICTURES is building a strong domestic and international distribution network for feature films. In one way, it brings in excellent overseas feature films to China and in another way, it exports China's excellent feature films to the world. A global film industry network is emerging; ORI PICTURES gathers the distributors all over the world to make worldwide distribution together. In this way, cooperation among different countries and cultures can be achieved, which in return can help each participant obtain the maximum benefits and global influence. By holding international film events, the company aims to promote copyright cooperation and trade in the international film & TV industry in one way, and deepen cooperation with international film & TV producers in another way. The events also provide a good opportunity in finding film talents and outstanding projects. ORI PICTURES focuses on the exploration of young directors and creative teams in various countries. To reserve new forces for the world film industry, we intend to nurture young filmmakers with international vision and professionalism. ORI PICTURES also attaches importance to the development of other businesses related to the film industry, including casting agents and film merchandise. Taking advantage of the global film industry network, ORI PICTURES is dedicated to creating a brand new global film industry ecologic chain through the integration and development of industry resources. The company contributes a lot to the international film & TV industry. It has exported excellent Chinese movies to the world and has also imported extraordinary foreign films into China to realize the global “film dream”. ORI ANIMATION was founded in Aug 2006. It is a national animation enterprise authorized by the Chinese Government and a national key enterprise of culture exporting. It devotes itself to the development and production of animated feature films. Born in Suzhou, Mr. Qian, who started his investment in film & TV industry since 2006. The types of film & TV include live action in different genres, Animated feature films and Animated series. By the end of 2017, the investment in film & TV industry has run up to $75M USD. “Tell Chinese stories which can be understood by foreigners and tell foreign stories which can be accepted by Chinese”, this is the creative philosophy that Mr. Qian sets for ORI’s creative team. Mr. Qian believes that making Chinese excellent works loved and respected by the world is the best demonstration of our cultural confidence. “Do the cultural business with an attitude of industrialist”,--- From the opinion of Mr. Qian, to strengthen the Chinese cultural industry, a persistent spirit, a diligent working style and a steady development pace is necessary. Either when creating an excellent work or managing one, keep guard against arrogance and impetuosity, which is also the most important concept pillar of ORI in the past years. 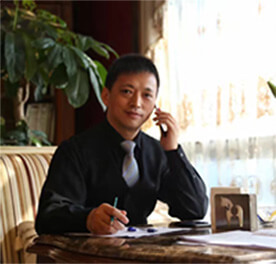 ORI has been established for more than 12 years and has received unanimous praise from our partners spreading across five continents, which is the best interpretation of Mr. Qian‘s philosophy of “Treating People with Sincerity”. “To achieve the cooperation, we must go all out” is Mr. Qian‘s tag, which is also demonstrated in each cooperation. In the future, captain Qian will lead ORI to keep moving forward and contribute to developing Chinese cultural industry, making excellent Chinese cultural projects become global ones. Relying on its established network of international film relations, ORI PICTURES is responsible for the communication between domestic films and international ones. ORI PICTURES promotes its films to a broader market through copyright cooperation and promotes them at international mainstream film festivals such as the Berlin International Film Festival, Cannes International Film Festival and the American Film Market. At a small town in the west of China in 1935, the county magistrate's funny accent raised a series of misguided affairs, deduced a bizarre and absurd story with one and another climaxes. A biography about world champion, the Malaysian badminton player - Lee Chong Wei. Born in a poor family, he became the talent of badminton and went through a lot of difficulties with the spirit of never giving up. Sharon transferred into San Diego College and was involved in the chaos of Campus Queen Contest by accident. In order to save her classmates and punish the school bullies, Sharon went into the finals with her superb Kungfu. Hardy, the son of the head oryx in the Grand Oasis. After being attacked by the wolves and the Grand Oasis is occupied by them,Hardy needs to protect his family and the peace of the desert. Little caterpillar Nick always dreams that he can get to the beautiful Jade Tree. One day, he finds the way to become a butterfly, but the price is that his life is only one day left. ORI PICTURES attaches great importance to the film & TV promotion and distribution in both domestic market and global market to realize common prosperity. The feature of ORI PICTURES is tailoring the promotion and distribution plan to the imported quality foreign titles. Besides this, it has established close cooperative relationships in distribution with domestic cinema chains, TV stations, internet platforms, etc. The media marketing networks including public media and We-Media are also built. A Crimean girl named Sanya fell in love with Alyona from Kiev in the ancient city of Crimea. However, the Crimean War broke out. Being in different camps, they were encircled by clashes, wars, and assassinations. In order to help the penguin families to protect their homeland and kick the evil humans, Dr. Gick and her fellows out, Euri, Luck and Buffet launch an adventurous counter-offensive operation in the South Pole. The investment areas of ORI PICTURES include animated feature films, war films, comedies, science fiction films, etc. Highlighting resource integration and production guidance, ORI PICTURES can ensure that each project has a good international market prospect since production. A famous tennis star failed once but finally found the true meaning of tennis with the help of his companions. He then went back to the competition field to prove himself. ORI PICTURES is building a sound ecosystem in the film industry. Glori International Film Festival is aimed to explore young film talents worldwide. Apart from that, ORI PICTURES will further expand cooperation in the field of international film industry. With the help of the resources of international films & TV, ORI PICTURES is dedicated to exploring and training young actors and actress.